This post covers how to write a book and make money. You can realize many goals by publishing a book, and making money from passive income should be one. Writing a book is something I’ve wanted to do ever since I was little. It was always a “bucket list” item I expected to accomplish later in life. But after leaving my corporate job, I quickly gained the energy and resources to know to put a book together much earlier than expected. 3 How much money do self-published authors make? As I was determining my goals for the book, I started think in terms of anti goals and realized I was scared to self-publish a book and have it fall into the black hole of Amazon.com products. In fact, authors may actually be creating the digital equivalent of black holes. Every day 2.7 million blog posts are created (HostingFacts.com 2016) and over 6,000 books are published (Wikipedia, 2017) That is a TON of content to compete against. But, with the right approach, you can in fact stand out. You can make money with your self-published book. You can use it to launch an entirely new life for yourself. Think about your goals. What if you reach a huge number of people? What if you make a large sum of money? What if you make passive income? Short answer: treat the book as a proper business. Long answer: the 4,000+ words below will get you started. DIY authors earned an average of $10,000 per year. This figure is skewed by top performers. 10% of authors earn 75% of the revenue (close to the 80/20 rule). 75% of DIY authors earn less than $500 per year. Top performers earn in the millions and six figures. These figures only apply to book sales (not broader sales related to the book). For a great case study on this, check out the Epic Launch deep dive into how a self-published book generated $106,127 in 30 days. What are the other benefits of writing a book? Creative expression: enjoy what you do! Platform building: you can establish your name, an audience, and yourself as an expert. Ecosystem start: money earned from publishing a book is just the start…many authors generate an entire empire out of their book. Stephen Covey turned his book into a $1.4 billion empire of products, books, seminars, and more (AustinNetzley.com). Securing a publishing deal: successfully self-publishing your first book out opens the door to working with a publisher for your next. It’s fun and you can do it on the side! Look, if you’re in a regular job, this is huge. You can write over lunch, early in the morning, at night, or on breaks. As long as you consistently write, you will have a book before you know it. You can’t say that about most other passive income business models. I’m sure the list goes on and on, but nothing can establish you as a thought leader and expert like a book. Again, that case study “How I Used My Book To Become a Leading Authority, Gain Media Attention, & Earn $106,127 in 30 Days” is a killer in-depth look into the benefits, the pitfalls, and the mechanics. If you have a blog or other online presence, doubly so. You owe it to yourself to write a book market your book properly. Within my network, I have quite a few authors and I can certainly attest to the numbers I shared above. I know people who have written amazing books, but sold practically nothing. I know people who have written good books and make $20K per month from books sales. I know someone who works a full-time job and records himself speaking out a book while he drives back and forth to work. He then hires someone to transcribe the audio. Using this method is a terrific creative outlet, but also earns him very solid passive income equivalent to a second job. The difference between the people who sell books and those who don’t isn’t the quality of the content and it isn’t luck. The people who sell books were determined to do so and put effort into understanding what it takes and taking action accordingly. You just need to decide to put in the deliberate actions that the bottom 80% of authors aren’t willing to take. Can writing a book make you rich? 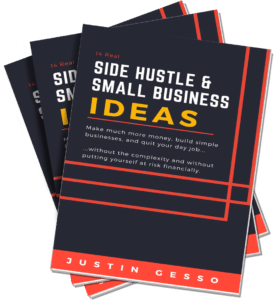 In my article 13 Real Small Business Ideas for Side-Hustle or Full-Time Entrepreneurs, I introduced the concept of how to determine if an idea can make you rich. How does writing a book stack up? Again, numerous people I know make $3,000 to $20,000 per month from their book sales. This number, of course, has no ceiling. Finding a topic you like writing about is probably much easier than you think, and it is very enjoyable. Apart from the revenue earned, you will have excellent content you can use in numerous other ways, you can establish yourself as an authority on a topic, and you’ll also have the ultimate business card. So that’s looking pretty good. Alright, so at this point, I think we’ve established that…even though it’s a crowded space…with the right will and actions, you can make money with self-publishing a book. In fact, it’s possible to make a lot of money and reach a lot of people! Great news, so let’s get down to the nuts and bolts. Successfully self-publishing means it’s time to start receiving money for your book…your business idea. That’s exciting. Phase 1: Pre-release preparation. To write a book and make money, you need to have a professional product. After you finish writing your book, be prepared to take additional steps to make it professional grade. Phase 2: Build your marketing machine. People are your lifeline. People give you money. Therefore, you need a scalable system to connect with people, nurture relationships, build your brand, and establish trust. Phase 3: Launch! In order to stand out in the crowded marketplace, you are going a hit the scene with a major bang. No knocking, let’s break down the door. One of the best ways to do something right is to look at someone who has already succeeded in your area. So when you self-publish, pick up a New York Times Bestseller in your category and really study the entire presentation. What does it have? As one of my author friends put it, there is a patina to professional-quality books. So if 6,000 books are published each day, how many of those do you think have the patina of a NYT Bestseller? As you think about your title and book description, make it so people can find you. Run your ideas through multiple tools to figure out how most people search for your concepts. Be sure to include these words in your book description, title, and sub-title. Keyword research plays into many upfront steps, such as final draft and cover design, so this needs to come early. We want people to be able to find you! If you don’t know much about keyword research, check out RankXL’s free 5-lesson email course. Getting the right people to read your book is a huge piece of establishing authority and trust. You need to reach out through your network and extended network and find people who will read and/or survey your book, offer their honest feedback, and ideally an editorial review. Target five. You spent a lot of time writing the book. Now it’s time to spend 20% more time getting the book perfect. You will undoubtedly need some help, but the good news is there are many inexpensive services you can use to fill the gap. With freelancers across the globe available on places like Fiverr.com, you have inexpensive yet professional editing, cover design, and formatting at your fingertips. You’re putting your name on this make. Make yourself proud. I’m about to open a serious can of worms with marketing, as I could easily fill an entire book on the subject and still be missing major aspects of it. But it’s a critically important topic when it comes to successfully publishing a book. And it’s key to launching, so I need to cover some groundwork with you now. Marketing exists to create awareness and trust. Without awareness and trust, selling is an uphill battle. With awareness and trust, people suddenly start saying “yes” and even buy proactively. Fortunately, with the right messaging, awareness and trust are surprisingly easy to build due to our primitive human psychology. And as it turns out, repetition builds trust. Simply seeing an image of a company over and over causes you to begin trusting that company. We all know the company Coca-Cola. In fact, much like “Xerox” and “Kleenex, ”the word “Coke” is often used to mean soda. We’re already plenty aware of Coca-Cola, so why do they need to continually bombard us with advertising? These constant ads reinforce trust and lube the buying process at a subconscious level. Even if you don’t want one, you may see a Coke at checkout, and grab it without thinking. This probably doesn’t happen with products from competitors. Indeed, this is why Coca-Cola spends around $3.4 billion per year on advertising (Investopedia). When you make a buying decision, which products do you choose? If you check your behavior, I’ll bet you it’s the ones you see, hear about, and read about most frequently. We need to leverage this for your book. 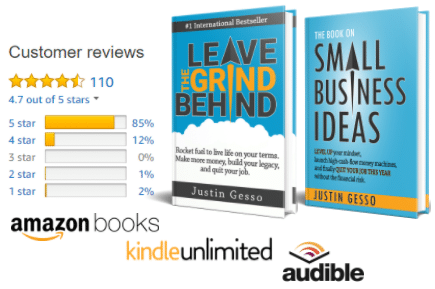 We need to treat your book like a business and market accordingly. Since awareness and trust require volume, we need systems to keep your marketing efforts efficient. People need to know about you and your book. But it doesn’t stop there. Your system needs to enable easy communication, interaction, and capturing of customer information. You will need to do further research on each of these areas to become an expert, but here are the fundamentals that apply to pretty much any type of business, and especially a book. This is something you have to learn. Website. This may seem simple, but many people don’t understand how a website fits into the picture. Websites allow you to capture contact information from leads and remarket to them. Websites are not billboards; they are for lead capture. The value of doing a book signing or one-time promotion is very short lived unless you direct people to come to your website. As you’ll see, in order to market to people in a highly cost-effective manner, it’s extremely important to get people on your turf–on your website. Customer database. You need a way to capture meaningful information about customers and prospects. This tool is commonly called a CRM (Customer Relationship Management). It can be as simple as a spreadsheet to start. I personally use Hubspot. Who and what do you track? I track people who reach out to me, leave reviews, ask me to contribute, who I’ve personally helped, and more. I want a list of whom my champions are and whom I can rely on in the future for support. Lead magnet. When people make it to your website, there needs to be a way to identify interested visitors and collect their contact information. The best way to do this is to offer a free resource related to your book. You provide this resource in exchange for their contact information. This is commonly a free PDF, video lesson, first 3 chapters, or audio series. You introduce people to your content and give them something of strong value. They can then decide if they’re a good fit for you and your book. Email marketing. Sending email is one of the most effective ways to build your brand, engage your customers, and nurture leads into buyers of your book. Even when people don’t open your email, they see your name, which slowly but surely lays the foundation of trust. These email tools allow you to write one email and have it sent to many of people in a personalized manner. They’ll also keep you compliant with spam laws and regulations. I use GetRepsonse. Autoresponder. While this is a feature of most email marketing solutions, it deserves its own mention. As you receive leads (whether through lead magnet or something else), you will want to send them a series of emails that come at predetermined intervals. These emails are crafted to deliver specific messaging over time to introduce people to your book and/or business. They create awareness with their content and trust with their frequency. They should also encourage replies and interaction so that you can move on to more meaningful, personal communication. Again, this is GetRepsonse. Social media. Social media is a broad term that really comprises web-based communication. Just like postcards and emails, social media is another chance to get your word out and direct people back to your website. The problem is there are countless social media options and it takes serious time and money to stand out on these platforms. With the flashing lights and distractions galore, it’s easy to spend time on social media at the expense of higher-value tasks. “Likes don’t pay the bills” is a saying I love from StartupVitamins. Don’t pursue social media for the sake of social media stats. Rather, find a platform that allows you to meaningfully connect with potential buyers. Focus on one or two platforms, do them well, and let the rest be automated, leveraging tools such as Buffer. While there is a lot of great automation that can be achieved with your marketing machine, I want to give a big caution. Automation can be a double-edged sword. Messaging that works for one set of people may not work for the next. Ensure you understand your audiences, segment them, and adjust messaging accordingly. Additionally, your marketing machine is a supplement–not a replacement–of actual personal interaction. Now it’s your goal to drive everyone to your marketing machine. Ahead of the book launch, they go there. There also need to be links from in the book to go to your site to get extra bonus content and tools. This will take people who find your book and get them into your machine. You can now go back to these people for reviews, future books, and more. Do you think the 80% of self-published authors who don’t make money have all of this in place? The “marketing machine” principles and components I just described apply to not only books, but also most business types. If you want to improve your life and become a entrepreneur of any sort, you need to understand how to do these things. If your skills don’t align, consider partnering with someone who can help. Read my post 5 Business Partnership Advantages when Starting a Small Business or Side Hustle. I personally used Epic Launch to educate myself on this machine. They have a ton of great resources, free and paid. Have you noticed the best products never just show up at the store one day? The newest Star Wars film will release its first trailer a year before opening day. Drama and gossip are trickled into the media over the course of the year. Earned media and online speculation brew. Excitement and anticipation build until you must see it not just the week it releases, but actually on the day it releases. Yes, you and millions of others wait in line, camp outside, overpay for tickets, and do whatever you can to be part of the launch. Apple, Tesla, and many others are masters of this concept. Even established businesses like Chic-Fil-A fast food restaurants don’t just show up–they launch. While I don’t eat fast food, I can’t help but notice these concepts at play. I’m sure a Chic-Fil-A could simply open its doors and start making money. But instead, they plaster billboards, take out ads, and mail coupons to thousands of people, all of which advertise “free chicken sandwiches” on opening day. They are coming out with a bang. Fortunately, launching plays perfectly into our plan of selling your book. I also want to stress that while launching may seem like a best-practice way to release something, the reality is that it is a necessity in today’s world. Alright, you need these stats again…every day, about 133,000 domains are registered (Verisign 2016), 2.7 million blog posts are created (HostingFacts.com 2016), and over 6,000 books are published (Wikipedia, 2017). So how do you stand out against the constant noise? It’s not easy, but the best answer is to concentrate your attack. Rather than relying on steady marketing, you concentrate everything you have into a single event. By doing so, you’ll not only be able to make an impression on humans, but you’ll also be able to make an impression on machines. Launching is how you get people talking about your product and service for you. The beauty of a launch is that by concentrating your marketing efforts, you will get yourself on the radar in the places that matter. Ranking on places like Google and Amazon will change your life. If people naturally find and buy from you, life is easy. There is practically an exponential curve associated between ranking and results. Using a book as an example, the difference between appearing on page 1 and page 2 can be between $20 per month and $500 per month in natural sales. The difference between being search result #1 and result #2 can take you from $3,000 per month to $20,000 per month in natural sales. While ranking is a constant battle, you’re going to lose if you take a slow-and-steady approach. You need to blow the doors down and crash on to the scene. Think about it from an Amazon perspective. They want to make money off of sales, not annoy visitors with clutter. Why should Amazon promote your unproven book? Just listing your product “for sale” on Amazon will immediately put you in competition with hundreds of 1,000s of other products that are already making money for Amazon. Any sales you make will be the result of your direct effort only. This is where most authors get stuck. On the other hand, what if you put your product on Amazon and then drive 100 or even 1,000 sales on day one? Well, Amazon’s algorithms will take notice. You’ll earn “hot new release” and “best seller” badges. You’ll move up in the rankings. And then something magic happens. If you hit the top spots in your category, Amazon suddenly promotes you to their massive customer base who come wallet in hand. Amazon takes the sales you generated and rewards you by giving you 1,000 times more. And because you’re receiving this traffic, your ranking sustain itself. Ultimately, a competitor will come along with a killer launch and bump you. Or perhaps the reigning champ muscles its way back over you. But even if you gradually lose your ranking, the lasting effect is real. You will start receiving reviews. And most importantly, you’ve tasted what it’s like up top. While your product will continue to rank better than most, you will do what it takes to continue edging your way higher, because you know how sweet it is. My book is a great example of this. It was self-published and I came out of nowhere. No one knew who I was. I was destined to be 1 of 6,000 books published that day, nearly all of which would fall into a black hole. But I knew the importance of launching. And I knew the wild ride I’d get on if I could rank up top–even if just for a day. I did my part to deliver several hundred customers on day one, and sure enough, Amazon took care of the rest. I moved over 12,000 copies that first week. I hit “hot new release,” “#1 bestseller” in multiple countries, and ranked in numerous categories. My book continues to rank, thanks to that launch. Even still, I know I can do much better now and have much larger goals for future book launches. The point is launching creates a buzz. Whether it’s on Amazon, Google, or in your local community, coming out with a bang is the only way to get people talking about you. You no longer have to be the only voice shouting your message. Once you have your book effectively ready, it’s time to create a calendar or timeline for your book launch. Each day, write out the activities you’ll do to build toward a huge launch day. Again, my resource for building this calendar out for my particular niche was Epic Launch. Many authors may not like marketing, but you poured a ton of time and heart into your book. Don’t sell yourself short now. Execute on your calendar. Throw everything you have into creating a huge buzz culminating on launch day! Be proud of your content. Don’t end your efforts on launch day. Capitalize on the launch by continuing to follow-up with people in your marketing machine. Ask for reviews. Ask people to buy your book. Ask people to share. Ask their input. Engage! That’s a business, not just a book. The sky is the limit. It’s time to build that $1.4B empire. With your successful book down, think big on how you can leverage it and the content. Alright, back to the short answer. A book is a creative endeavor. A bestselling book is a business. There may be a ton to this article, and it really only scratches the surface on numerous fronts, but none of this is really that hard. It takes some time to either educate yourself or partner up with the right person, but that’s it. With the right pressure applied, you can be a bestselling author and enjoy the monetary and non-monetary benefits that come from it. You have to write a book and sell it. It’ll change your life. And I’ll mention it one last time because it was the true cornerstone in my successful book release…it filled in so many gaps in my knowledge. If you need to educate yourself on “book as a business,” be sure to check out the Epic Launch’s Case Study and other resources. This was a long post but probably leaves out tons…what’s your input? !